Swiis have a robust Quality Standards Policy which underpins, and is implemented in conjunction with, a comprehensive set of operational policies governing each aspect of our Foster Care provision. Our policies fully cover the statutory requirements outlined within the Fostering Services National Minimum Standards 2011, the Children Act 1989 Guidance and Regulations Volume 4 and all other relevant elements of the legislative framework for Foster Care. Our Quality Standards Policy enables us to review the quality of care we provide as directed by Regulation 35 of the Fostering Services Regulations 2011. Providing a high quality, well managed fostering service. Ensuring service user feedback and self-evaluation is a consistent and valued process. Continually improving standards of practice and service in line with statutory requirements and National Care Standards targets and frameworks to achieve best value and good outcomes for children. Ensuring accurate information is available for the successful delivery of the aims and objectives of the service and to inform the future development of Swiis Foster Care objectives. Working towards the five Every Child Matters outcomes. Monitoring, evaluating and continually improving standards of practice to ensure we deliver a well-managed, high quality fostering service which represents good value for money. Ensuring all foster carers are provided with appropriate levels of supervision, support and training. Ensuring managers have a consistent framework for effective quality assurance. Ensuring we have resources available to meet actual and projected demands on our service. Ensuring management data is readily available for reports, inspections, stakeholders and to inform service development. 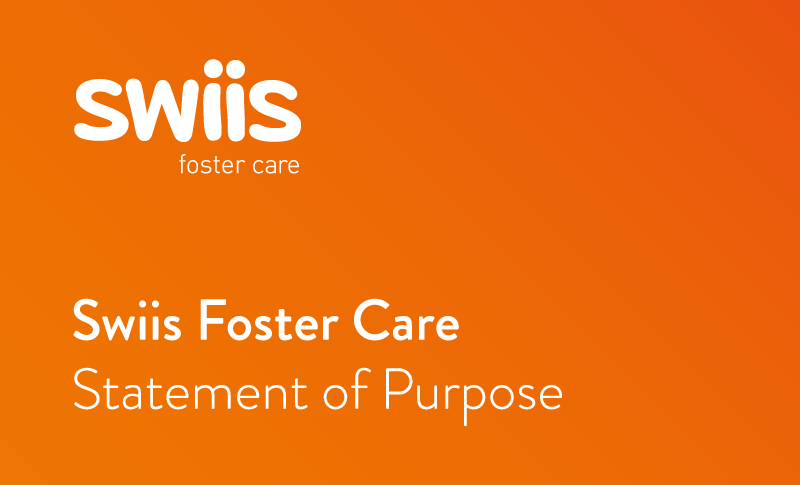 The aims and objectives of Swiis Foster Care. The assessed needs of children who need foster placements. The standards and requirements of stakeholders. The requirements of the Fostering Services Standards and Regulations. Further to this, Swiis Foster Care operates a Quality Standards Framework which has been designed to monitor and appraise the management of our services, ensuring consistent quality of performance is maintained across every region and measured against a comprehensive set of criteria. Swiis utilises CHARMS, a comprehensive, industry-leading, web-based software suite designed specifically for the management of fostering, adoption and children’s residential care services. CHARMS enables us to integrate and monitor the processes and operations analysed by the Quality Standards Framework, improving our ability to measure these qualitative indicators accurately and dynamically. Our investment in CHARMS exemplifies our commitment to ensuring that the quality of each of our policies, procedures and systems is monitored, assessed and optimised on a continual basis. Swiis Foster Care England and Swiis Foster Care Scotland are governed within the parent company of Swiis International Limited. The Board of Swiis International Limited comprises; Mr Dev Dadral; Chairman and Shareholder, Mrs Kamla Dadral; Shareholder and Mr Timothy Notchell; Company Director and Chief Executive Officer. Swiis International Limited recognises that sound governance provides a vigorous foundation for the entire range of Swiis services and the effective governance of our organisation has created a platform from which our services can develop with absolute confidence.